Ric Flair, along with his girlfriend Wendy Barlow, made their way to New Jersey and are now at the WWE base at the Westin Jersey City Newport hotel. Flair was pulled out of the WrestleMania Axxess signing and replaced by the Undertaker after his son Reid passed away. 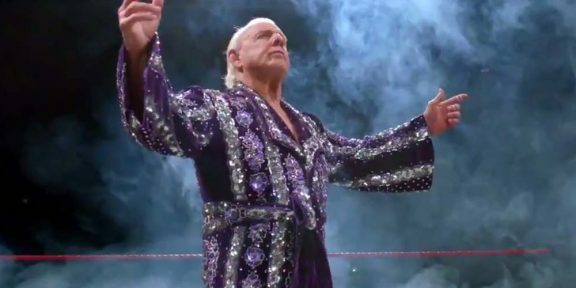 Flair was also pulled from all non-WWE events at WrestleMania weekend. Funeral for his son was held on Wednesday in Charlotte, North Carolina. It looks like the two-time WWE Hall of Famer will be in the audience for tonight’s big Hall of Fame event in Madison Square Garden and will be backstage for WrestleMania tomorrow. His girlfriend Wendy Barlow is the former Fifi The Maid in WCW.